Gotham, the least traditional Batman origin story of all time, has been dancing around pretty much every villain in the Caped Crusader’s rogues gallery since its debut. 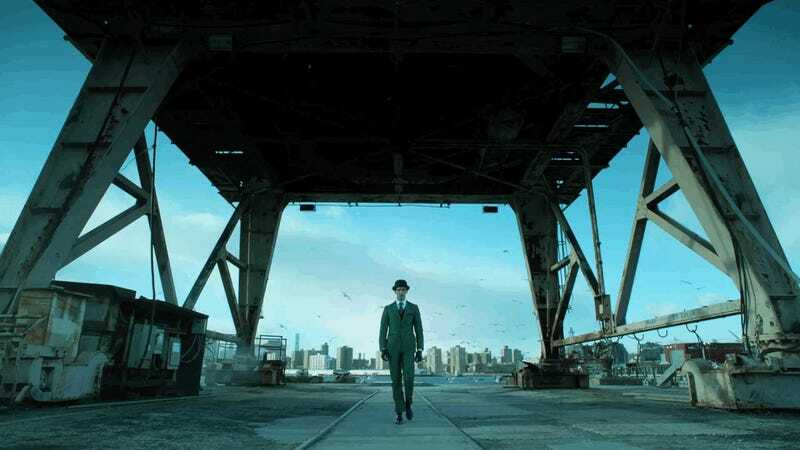 But as this preview for the upcoming mid-season premiere shows, at least Edward Nygma looks like he’s finally done fooling around and is ready to start doing some goddamn riddling. It’s surprisingly satisfying to see Gotham bring out what appears to be a fully-formed Batman villain, despite the fact that Bruce Wayne is just 16 and still hanging around Gotham City (although this preview does show him finally taking to the streets to punch criminals). Seeing Nygma spray-paint green question marks on things and (presumably) telling some actual riddles also indicates that Gotham has finally started ignoring that last bit of traditional Bat-canon it was following, which is to say that Batman arrived before his supervillains did. This is something I’m totally fine with, because the way Gotham has been pushing most of its bad guys so close to being their supervillain selves without actually making them the damn supervillains has been absurd, and Gotham more than is absurd enough without it. 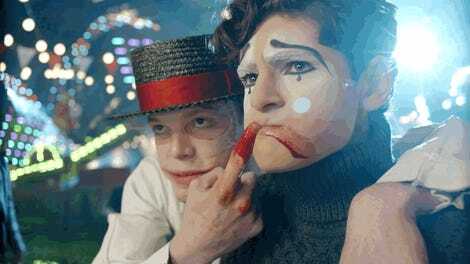 Speaking of: In last night’s mid-season finale, Jim Gordon punched the proto-Joker’s face off. Literally. Gordon punched Jerome, and Jerome’s face—which had been cut off him and worn by the crazed acolyte who resurrected him from the dead, and which Jerome had reattached with staples, much like in the recent Scott Snyder Batman comics run—detached from his face and flew to the ground. To be fair, Bruce had loosened the face a bit first... by also punching Jerome repeatedly in the face.